The Steve Miller Band has announced dates for a 50th Anniversary summer US tour with guest Peter Frampton. 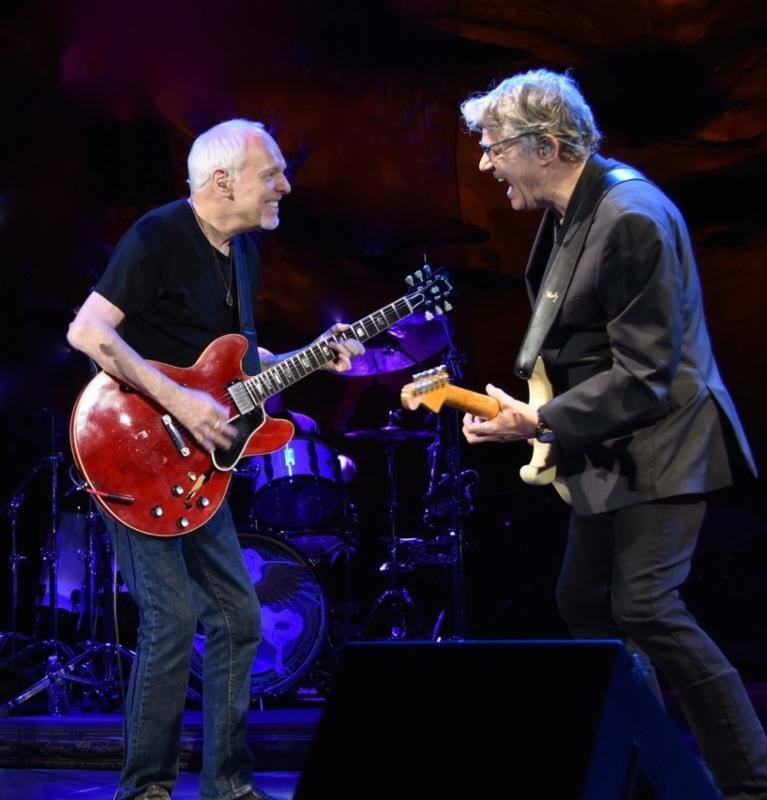 The three-month run of mostly amphitheaters – similar to the pair’s 2017 trek – will launch in Evansville, IN on June 12 and will wrap up with back-to-back dates in Woodinville, WA in late August. "Music is ethereal – it moves back and forth between the past and the future," says Miller. "I'm very excited to announce that 2018 is our 50th anniversary of recording and touring together as the Steve Miller Band, and we plan to travel between the psychedelic sixties through the future with a vengeance!" In addition to the two bands' respective sets, Frampton will join Miller onstage for mid-set jamming. Tickets for the US dates will go on sale Friday, February 16 at 10 a.m. EST via Ticketmaster. Ahead of the summer run, Miller and Frampton will perform a handful of shows in western Canada and the US that also includes Miller’s appearance on the final day of New Orleans Jazz & Heritage Festival on Sunday, May 6. The Steve Miller Band released its debut album, “Children Of The Future”, in 1968; details regarding an upcoming 50th anniversary reissue will be announced soon. Miller was inducted into the Rock And Roll Hall Of Fame in 2016.